Over the years, BSN has provided innovative and interesting products for building muscle to the supplement market. During her long activities she supported many famous sportsmen. BSN supplements are advertised all over the world by eight-time Mr. Olympia Ronnie Coleman. Amino X is one of the newest products of the described company. Its unique composition contains branched amino acids BCAA, L-alanine, Taurine and L-Citrulline together forming the Anabolic Amino Acid Interfusion complex. Citric acid, malic acid, sodium bicarbonate and colecalciferol forming Efforsorb EnDura Composite facilitate the absorption of amino acids and increase efficiency. The product that we present to you is the first of this type of dietary supplement, which we eat in the form of a sparkling drink! 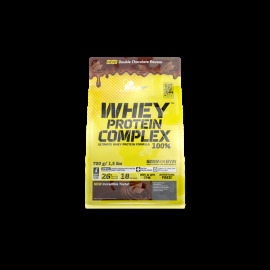 In one portion there is as much as 10 grams of micronized amino acids with anti-catabolic action and 0 grams of sugar!